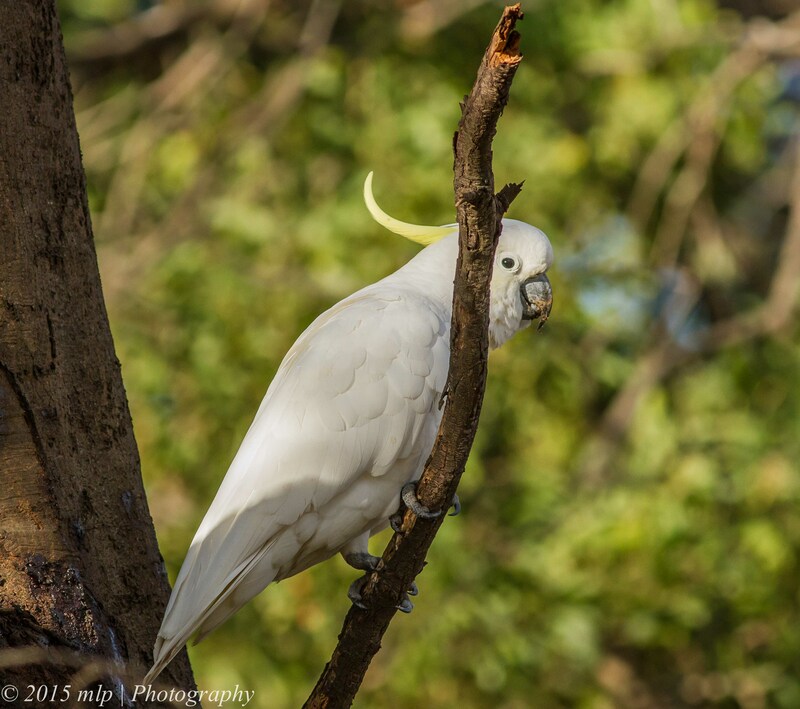 A few weeks ago when we finally had a warm sunny day (and we have not seen much since), I dropped in at Braeside Park to get some exercise and see what birds were around. It was the quietest I had ever seen it and the driest. The remaining lagoon has dropped considerably and except for the specialist mud feeders the rest seem to have moved on to deeper waters at other sites. I did get a nice series of shots of a few local birds that are generally resident all year round. 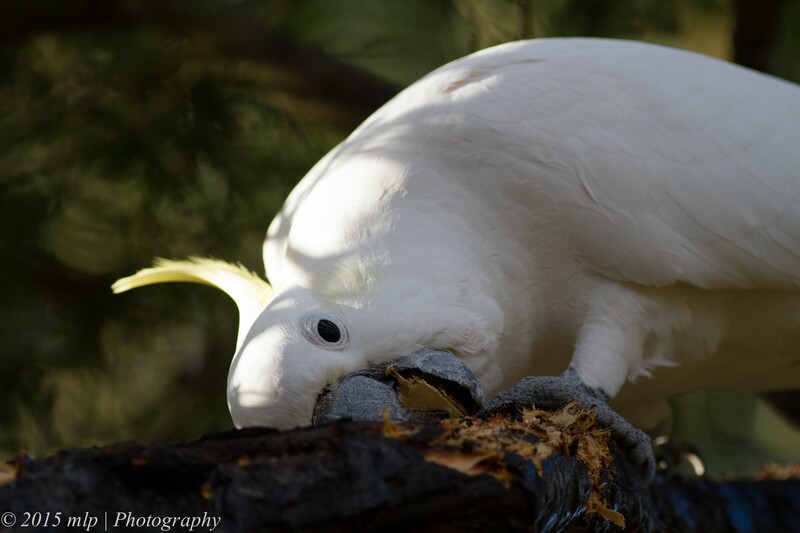 The first in the series was a pair of Sulphur Crested Cockatoos. I only saw these two from a distance due to their very white feathers. 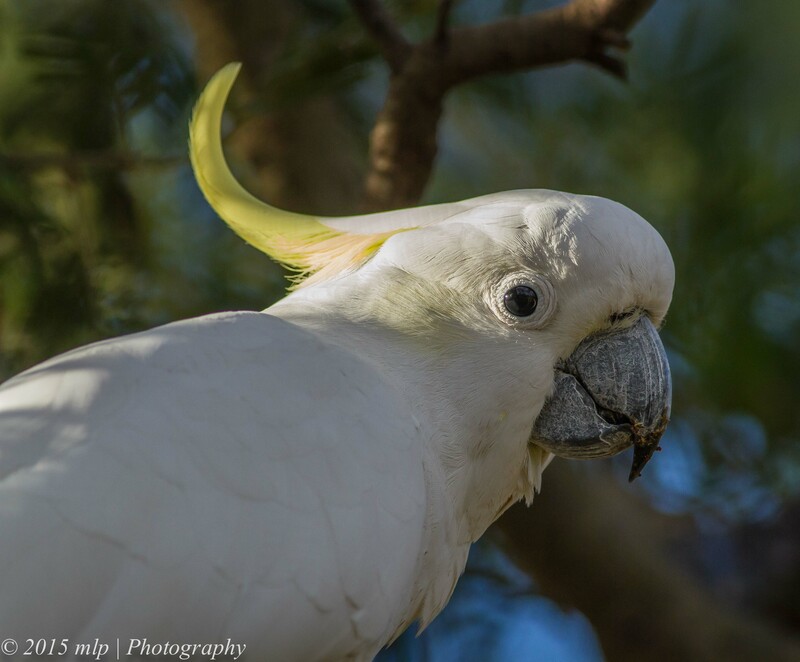 You would usually hear cockatoos from quite a way off – one of their defence mechanisms is a very loud 100db+ screech. 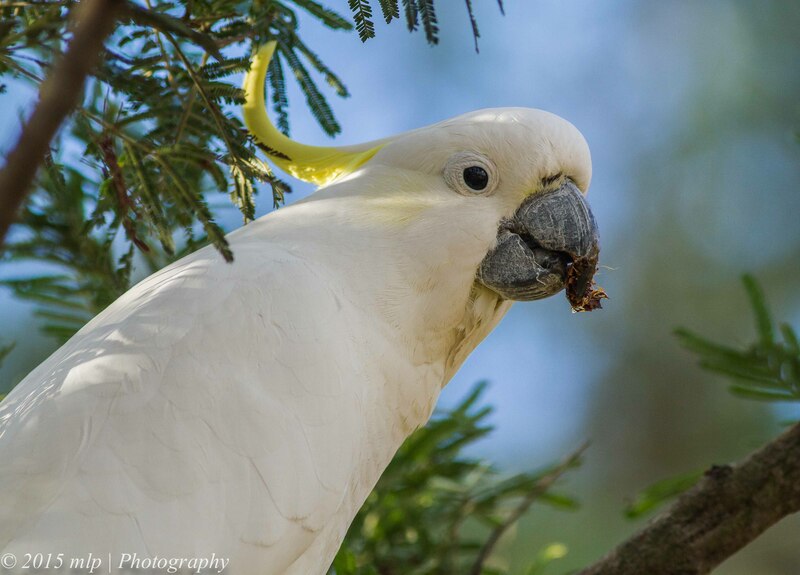 (I have walked underneath a pair of nesting cockatoos and the noise was deafening. ). These two were very quiet, on low branches and quite unafraid of me as I walked up slowly and carefully to see what they were up to. 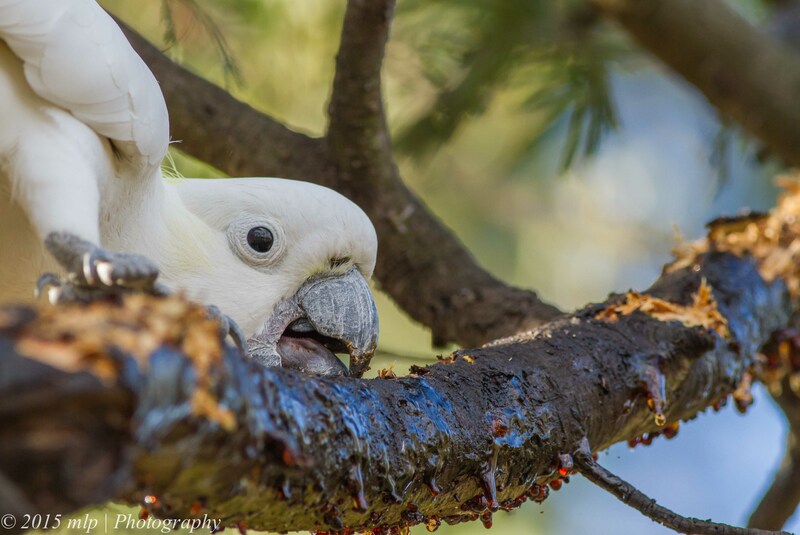 Even when higher in the trees wild cockatoos are quite wary of people and usually fly off. I took a few shots and watched for a while. 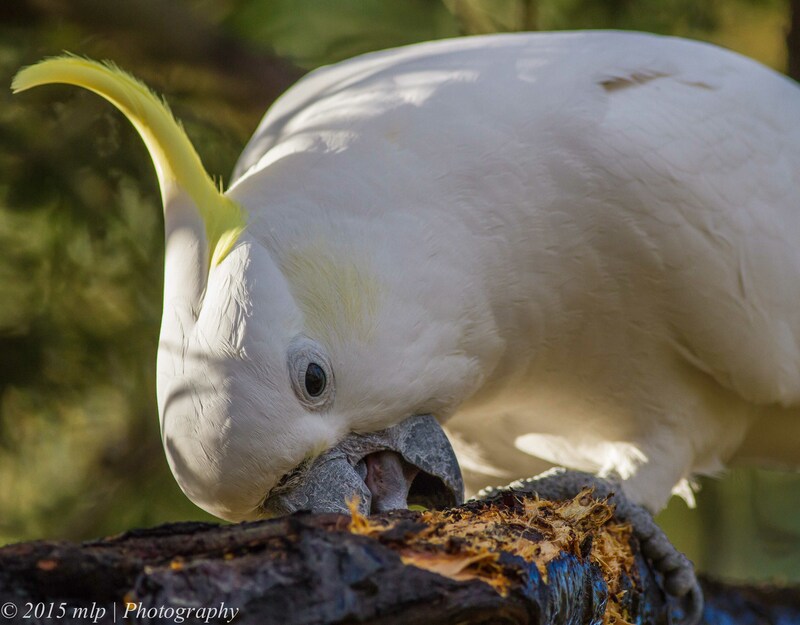 This entry was posted in Bird Behaviour, Birds, Victoria and tagged Australia, Australian Birds, Bird Photography, Braeside Park, Nature Photography, Photography, Sulphur Crested Cockatoo, Victoria. Bookmark the permalink. They may be after grubs. They’ve had a go at the wattle over my drive. I didn’t see them get anything but a Yellow-tailed Black cockie pullted out a grub about the size of my thumb. 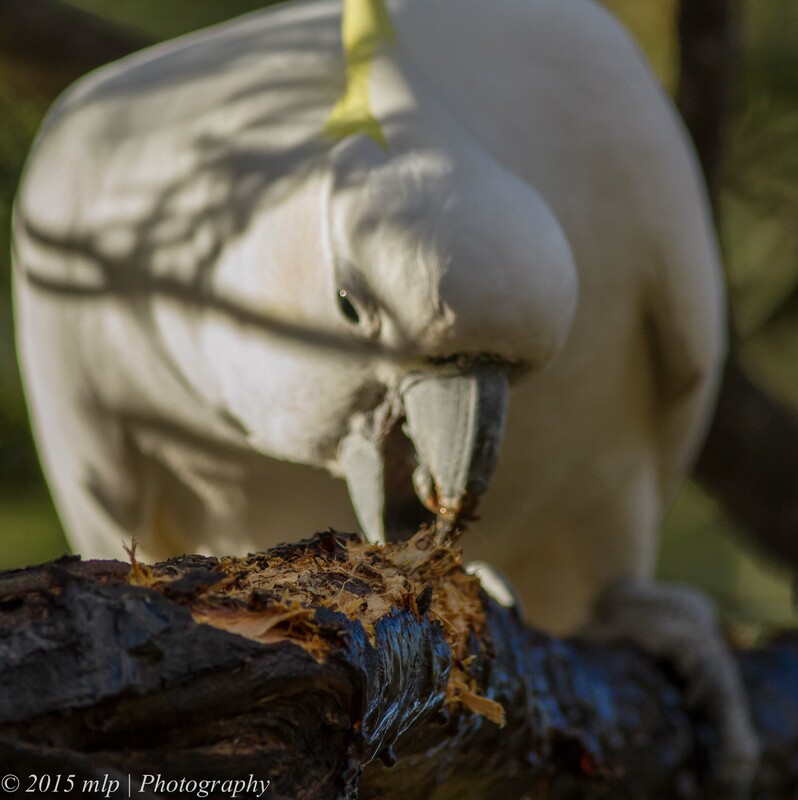 You are probably right Mike, they were very keen on stripping the bark down quite a bit…the grubs must be delicious or nutritious for all the effort and mess.